Bella is one of the hottest fashion brands on the market right now and their flowy tops are a big reason why. 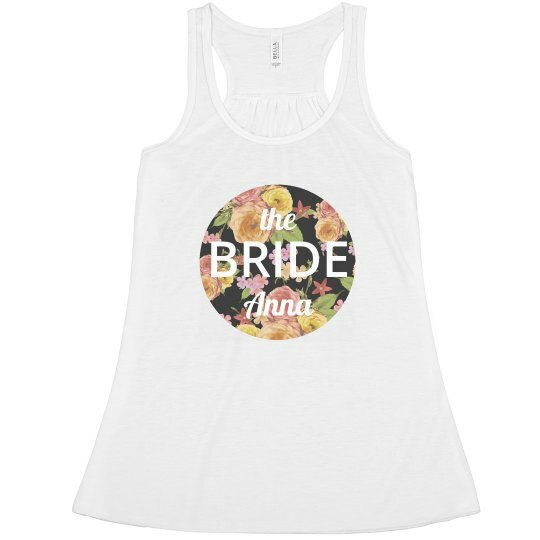 This flowy tank top is perfect for Brides and Bridal Parties. It fits all kinds of body types, so get the entire Bachelorette Party together and wearing matching tanks. Customize something a little more trendy and don't worry about minimum order quantities. Your design on all Flowy tops will be slightly transparent, allowing the color of the garment to show through giving it a more fashionable, retail look. 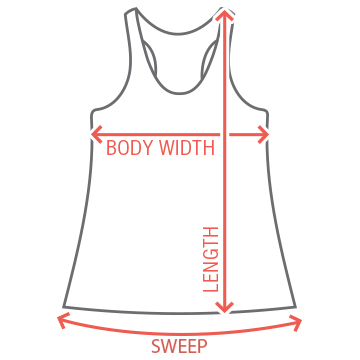 Lightweight, super soft and very feminine, you are going to love this tank. Customize a super cute and trendy design for the bride to be! Add personalized text to create any message you want.